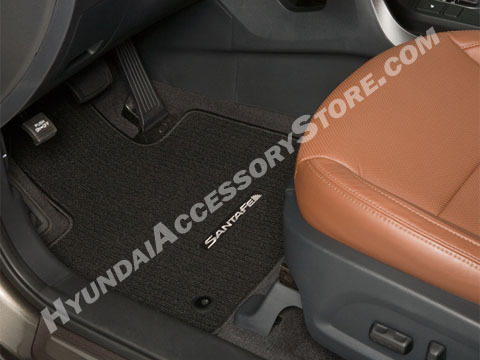 Preserve the original carpeting of your Santa Fe with custom designed and color matched floor mats. A “Nib” underside will ensure a non-slip fit. Customized for you with an embroidered Santa Fe logo. Mats are factory fit with the retainer gromits right where they belong. Very nice, finished look. Rear (second seat) mats are 2 individual mats. Sometimes you see the second row being a runner. #rd row is a runner.